View the Weather widget in both landscape and portrait orientation. Simpler setup, improved user interactions, and better notifications for Visual Voice Mail. Support for email domain suffixes containing more than three characters. Keep text messages organized with chronological in-box screen. Edit text messages after you've inserted a video file. Improved audio sound during recorded video playbacks. Stream Guided Tour videos on device in Help Center application with ease. Faster location tracking during GPS navigation. Faster transitions between Wi-Fi and 3G in data connection. New ability to add pictures from your Gallery to a contact. Export all your contacts to the SD card. View details of Social Networking contacts. 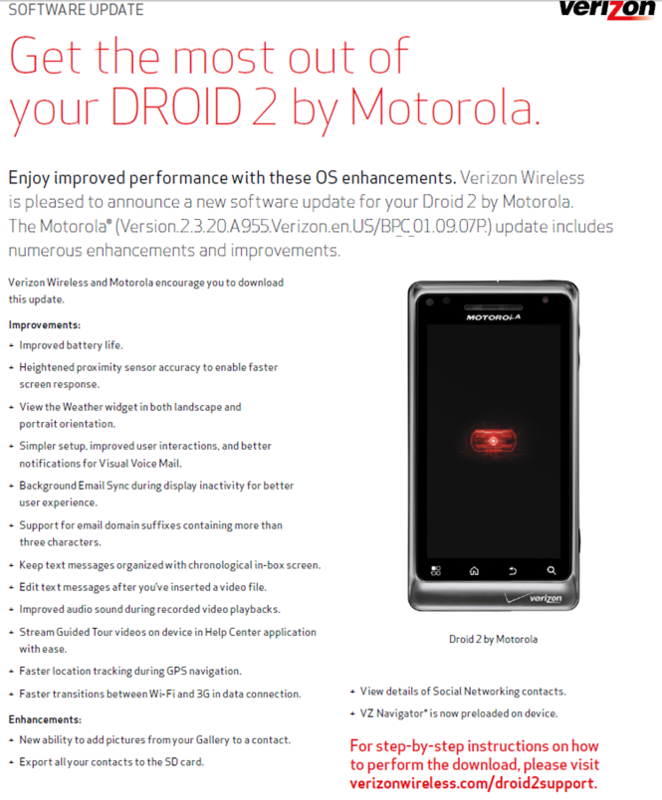 VZ Navigator is now preloaded on device. Haven't received yours yet? 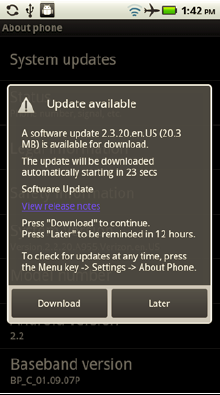 As we said above, you can force pull the update by hitting Menu -> Settings -> About phone -> System updates.